Is it too early for an end of year review? I’ve had such a productive year that I really do feel I’d like to shout about it. It began with the publication of Poppy’s Seed in February 2017. It’s an amazing feeling when you finally see the book you’ve worked so hard on. Poppy’s Seed had very good reviews, not just five star reviews from customers on Goodreads and Amazon, but from publications like Books Monthly, who called it “superb”. I also had a full page spread in The Somerset County Gazette, and an interview on BBC Radio Bristol. 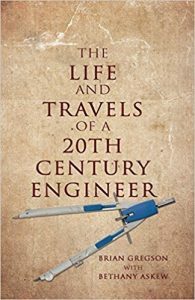 In March I started work on my cousin’s memoirs “The Life and Travels of a 20th Century Engineer.” This was an interesting project. My cousin did an apprenticeship in the steam locomotive industry before he did National Service and finally becoming a design engineer. His life experiences, which include travel and work abroad, make compelling reading. The book was published in October. I hadn’t intended starting a new novel this year but in May I found myself writing the opening paragraph! The idea for this novel came when I was mistaken for someone else. I began to wonder what it would be like if I had pretended I was that person. Other ideas came from this: how well do we really know the people we have relationships with? Do they tell us the truth about their past? Or just their version of the truth? I have almost finished writing it and it will be published next year. This year I have given four presentations to local societies on my website www.onactiveservice.co.uk. and my book Counting the Days. And I continue the work of transcribing letters and diary entries and uploading them in to the website seventy three years ago to the day they were written. So I can close 2017 with the satisfaction of having achieved my goals (and more!) for the year and wish everyone a Merry Christmas and a Happy, Healthy and Prosperous New Year.